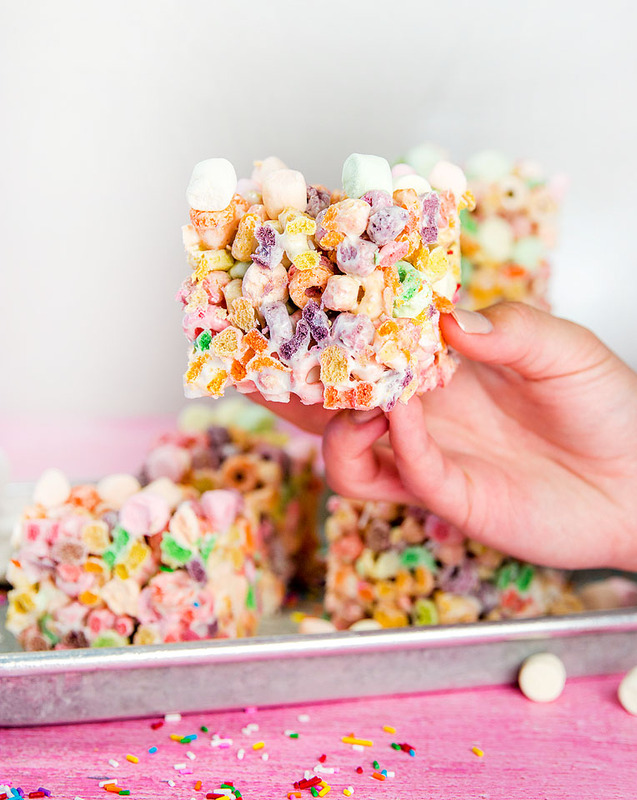 I am certain that rice krispie treats were the first thing that I ever made all by myself. My dad loves them, so I was always making them and trying new ways to make them. My dad loves rice krispie treats with peanut butter and a layer of chocolate on top. 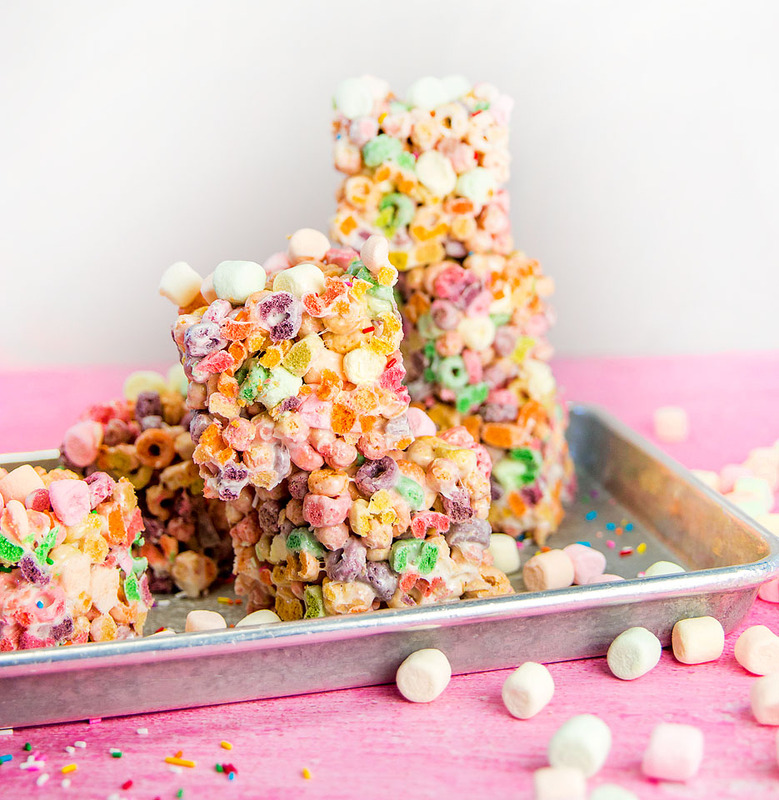 Carrie has professed her love for rice krispie treats, so knowing how much she also loves color I made this version using colorful marshmallows and cereal. I am pretty sure she will make these a lot down the road and will share them with sweet baby Elle when she gets older. As you can see above, my puppy Beau is also a huge fan of them, too. 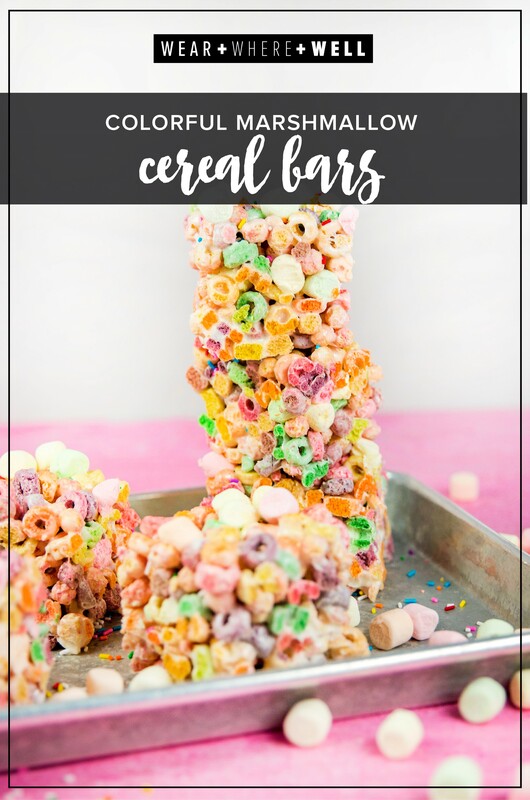 There are many different colorful cereals out there, so just use your favorite or what you have on hand. 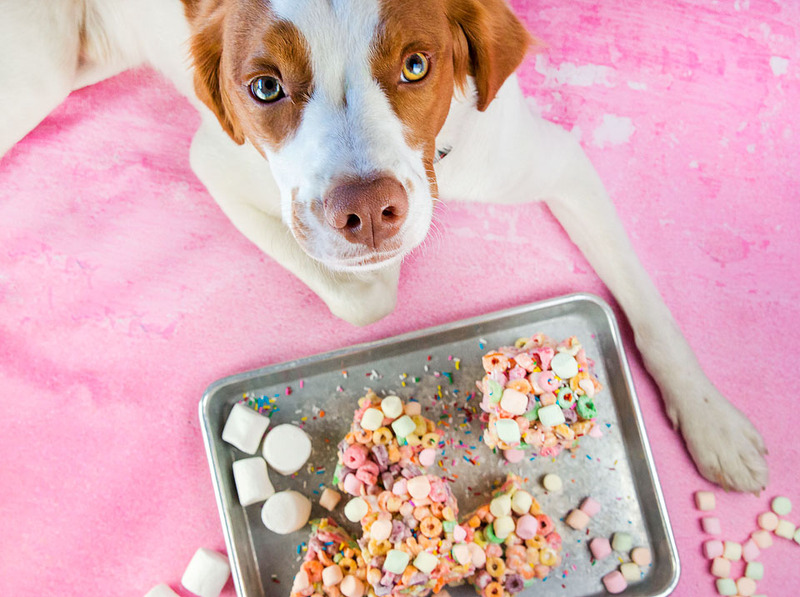 I mixed two varieties in this recipe, but one kind can also be used, too. 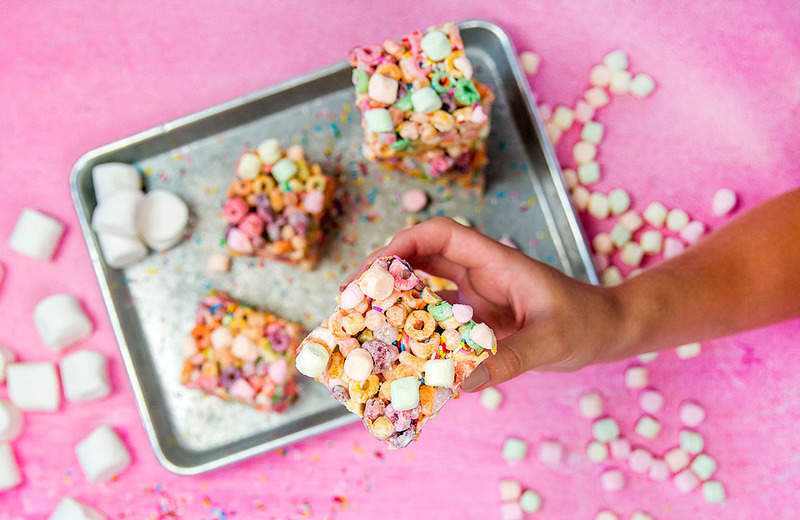 If you want to add an extra special element to these colorful marshmallow cereal bars, add some sprinkles to the top with mini marshmallows. 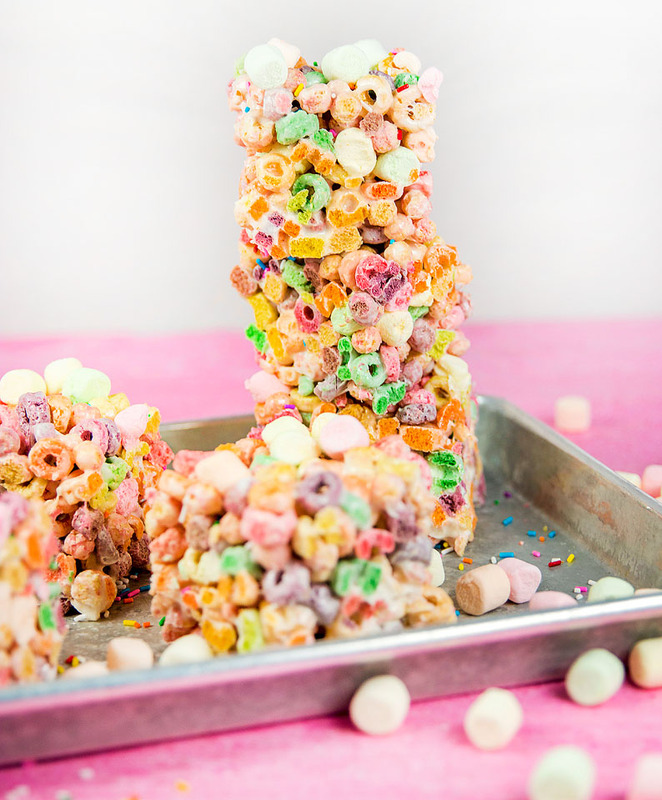 If you are fan of rice krispie treats, like Carrie and me, check out this recipe for a ridiculously fun layered rainbow cake! 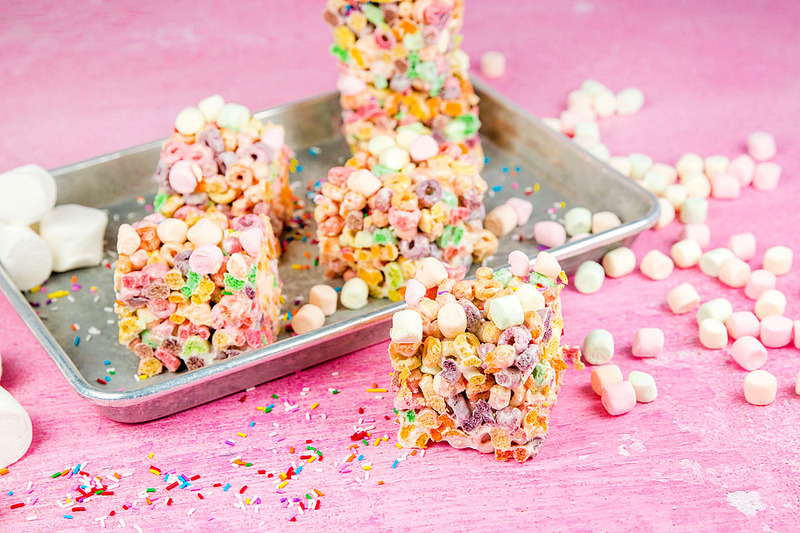 Do you love rice krispie treats as much as we do? 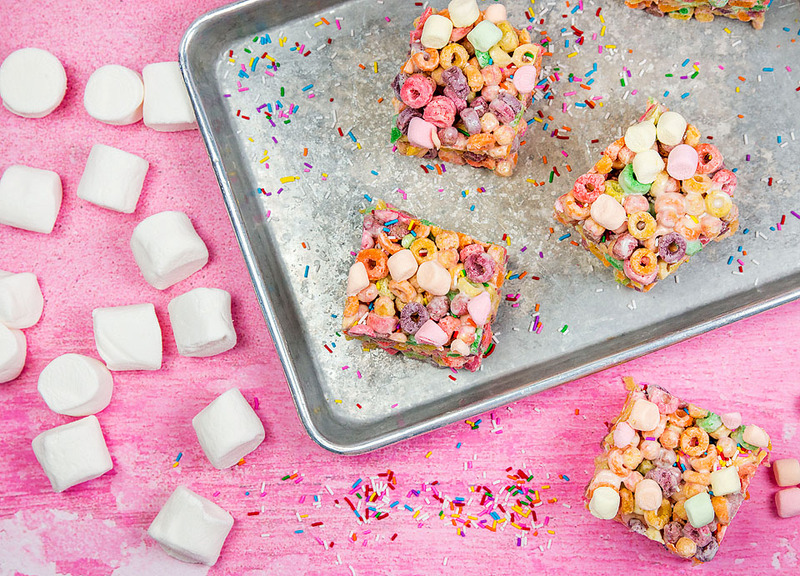 We’d love to hear if you try out this recipe and what cereals you use to make it! Have a great rest of your day and we’ll see you back here tomorrow morning.